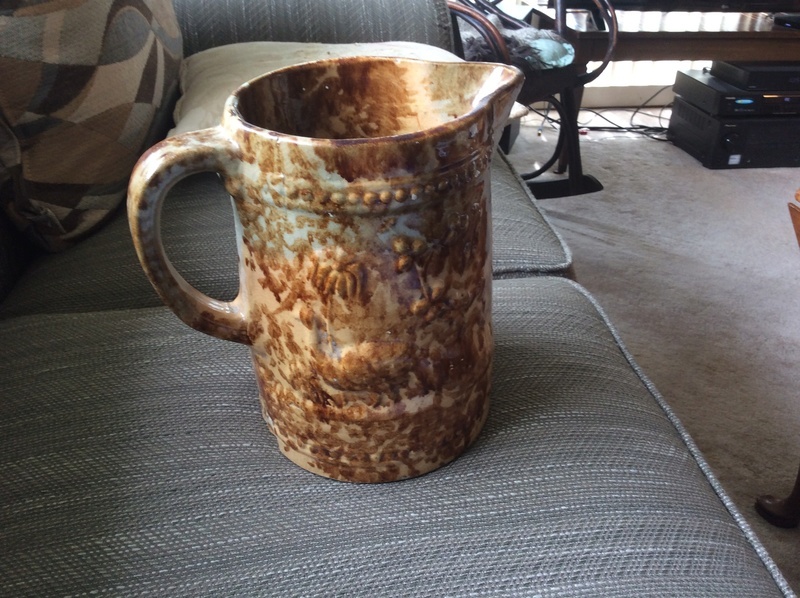 I have a stonework pitcher, passed down from family, possibly from Pennsylvania or other Amish background. There are no marks on it. It is 8 1/2 inches high. There are raised images on both sides which appear to be a peacock and bunch of grapes. 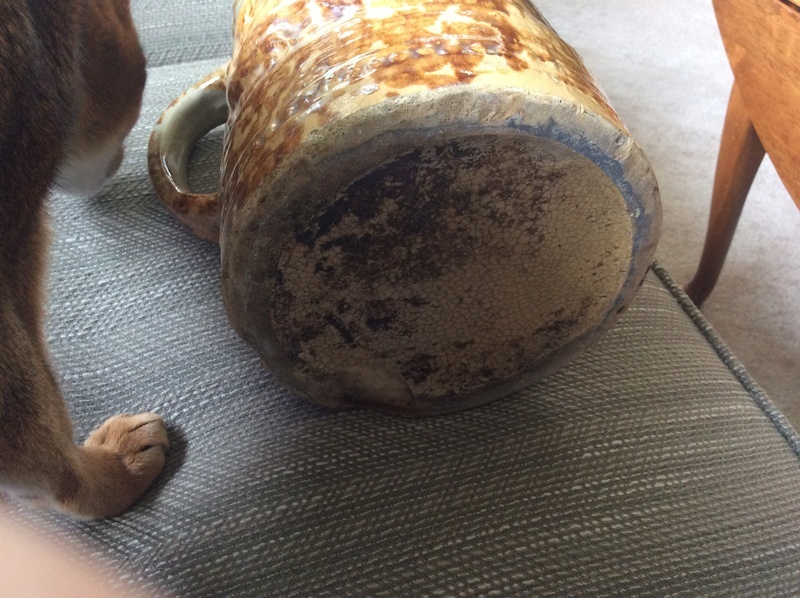 The entire piece is crude and may be handmade. I would appreciate help in identifying age and possible place of origin. Looks quite old. 19thC. 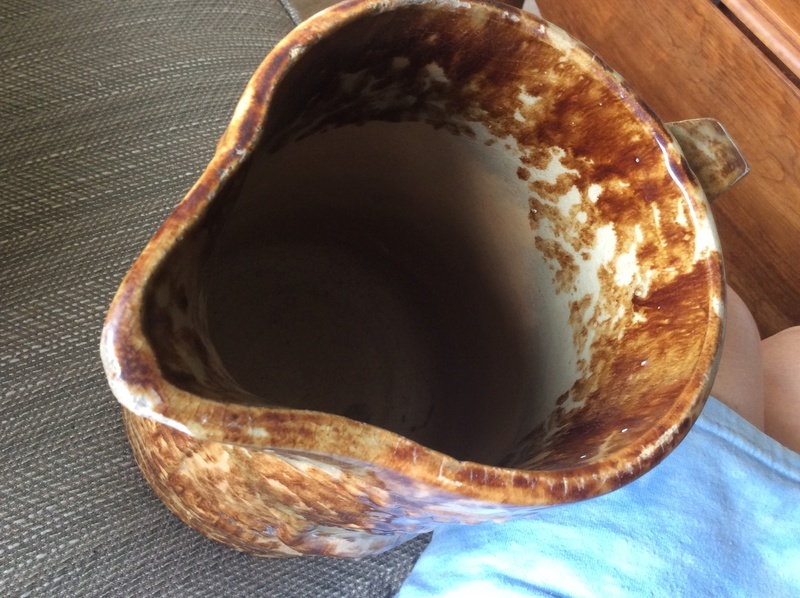 You might find more if you google splatter ware or sponge ware. Might be a Rockingham design, but I’m afraid that’s not my area of expertise.